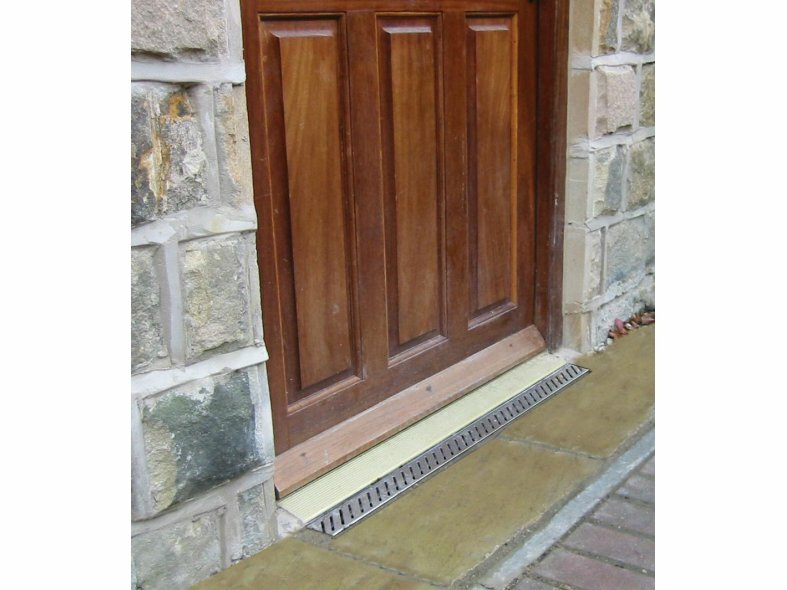 ACO DoorWay Drain provides threshold drainage that is simple, unobtrusive and compliant with Part M and Section 4 of Building Regulations. 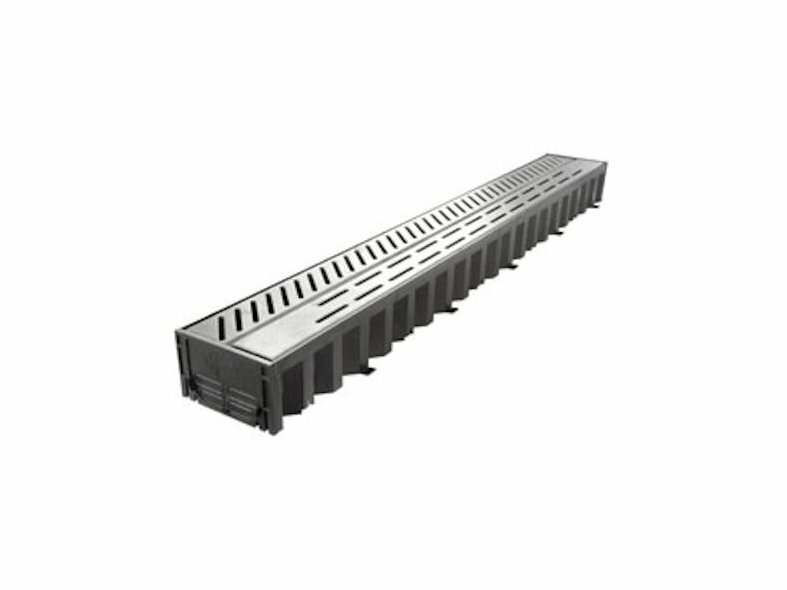 DoorWay Drain is designed to be used with doorway systems up to 1000mm wide, but by simply clipping units together multiple drainage runs can be achieved. Manufactured from high strength black recycled polypropylene, the 1m channel unit is combined with 2 Heelguard, friction-fit stainless steel gratings. Along with the channel unit, all accessories are provided within the pack, such as, end caps and outlet connectors helping to achieve a simple but professional installation. ACO DoorWay Drain does not need the door frame to be cut as it simply slots in front of the building entrance. No complex plumbing is required as the system can drain away to a simple soakaway by means of the end caps provided. If plumbing is required, the Ø110mm vertical outlet connector links the unit directly to underground drainage pipework.